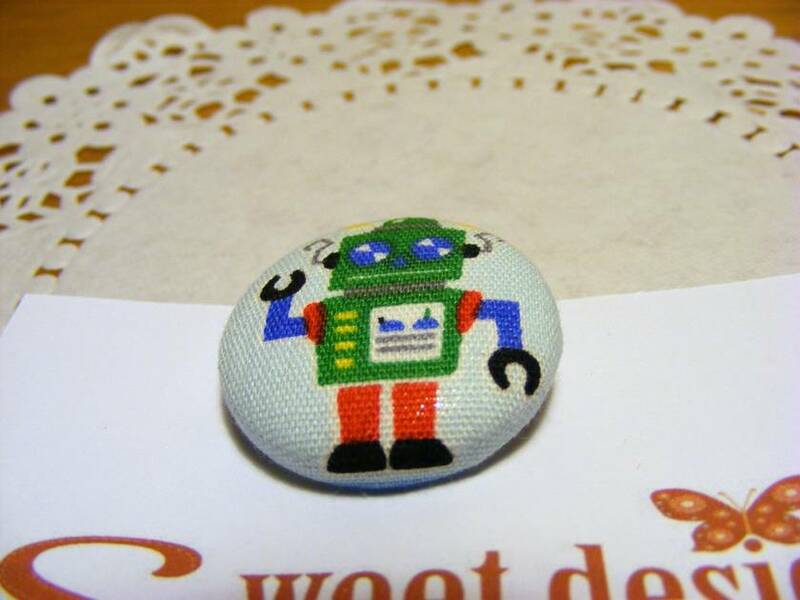 Sweet little green robot on a pale blue background. 28mm Fabric covered button pinback brooch. The button is covered in a cotton fabric and securly attached to a pinback. Add some fun to your clothing or your tote/pouche.